There have been loads of new spring and summer nail polish releases, but I haven’t felt compelled to post many of them until now! 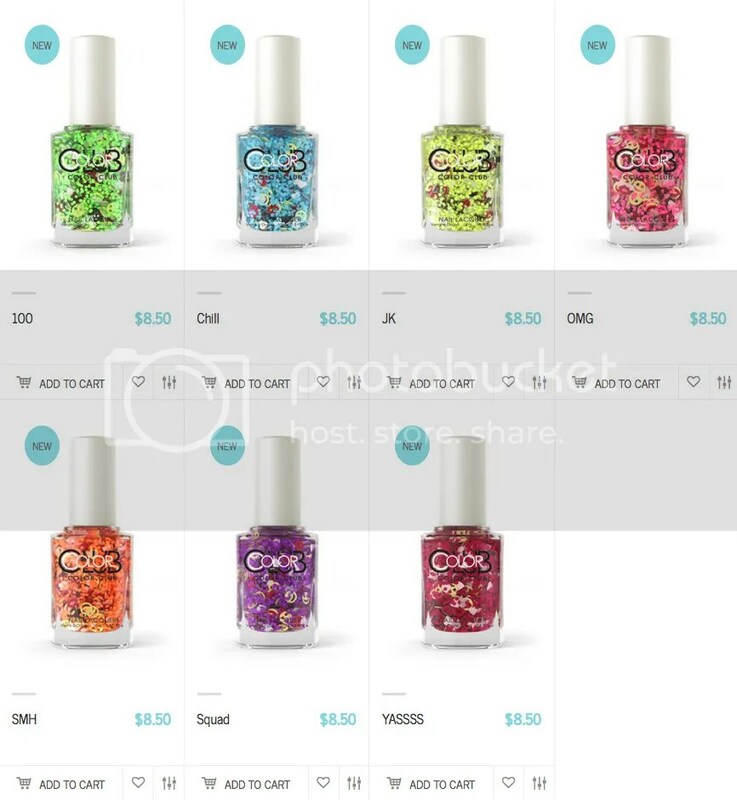 Color Club has released a great new summer collection with emoji glitter! Nailmoki Neon consists of seven confetti emoji glitter polishes in bright neon shades. The collection is limited edition. What the WHAT!?! Emoji glitter? I’m not a glitter person either but ima gonna need one of those for my collection!! !